Powell Boulevard, a state highway, has about $5 million allotted to it in the state transportation funding bill. SALEM — Portland resident John Sporseen was the sole survivor in an apparent head-on collision on Powell Boulevard in June 1959. "It has kind of bugged me for the rest of my life. … All I'm saying is …do what you can for Powell," Sporseen told state lawmakers who are spearheading a statewide transportation funding bill. Fifty-seven years later, Powell Boulevard remains "one of the deadliest roads in Oregon," said Leah Treat, director of the Portland Bureau of Transportation. Sporseen and Treat were among about 50 speakers who addressed lawmakers during a public hearing on the bill at the state Capitol Tuesday, June 6. Tuesday marked the first time that members of the general public could comment on a proposed $8 billion, 10-year transportation funding package. Speakers at a hearing on the bill Monday, June 5, were by invitation only and represented largely interest groups and government officials who had helped craft the legislation. Several speakers urged lawmakers to increase funding in the package for safety improvements on Powell, which is a state highway. The bill calls for a jurisdictional transfer of Powell from the state to the City of Portland, but city officials object to taking over the liability of the road without what they call "crucial improvements." Currently, only about $5 million in the bill would go toward those improvements. Four state legislators who represent districts bisected by Powell called on their colleagues to up that amount to $111 million. Rep. Janelle Bynum, D-Clackamas, said she walked one stretch of the road from 122nd to 182nd during her election campaign last summer. 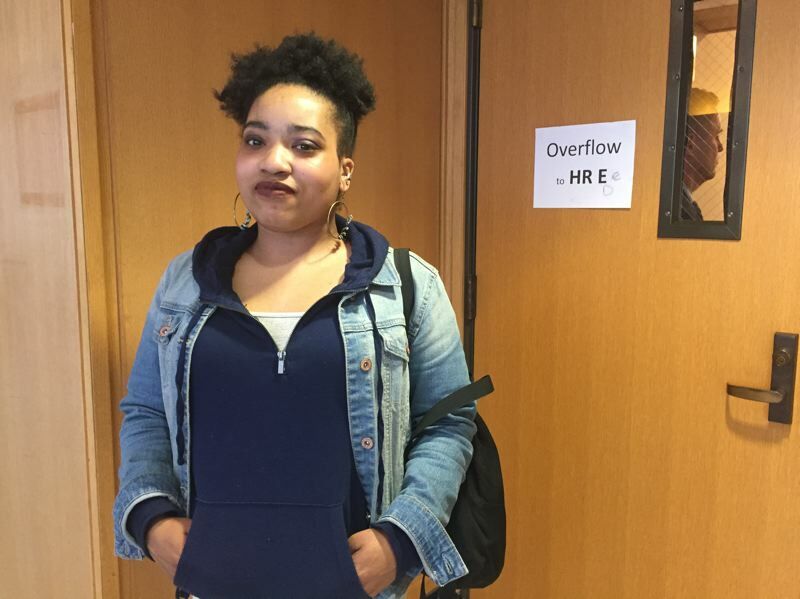 "It's downright scary walking down Powell with no sidewalks, barriers or separation of any kind between cars traveling around 40 mph only a few feet away," Bynum testified Tuesday. "In my time walking that route, I was joined by grandmothers going to church and children coming home from school. Their norm has become acceptance of the danger, as they don't have any other choice." Oregon Department of Transportation analysis shows the population has increased by 40 percent in the Powell corridor since 1990, but few improvements have been made to account for the growth, she said. That stretch of road has 37 percent more crashes than similar state roads, according to ODOT. Since 2010, about half of traffic-related fatalities in Portland involve pedestrians or bicyclists, Treat said. "This is unacceptable, and most importantly this is preventable," she added. 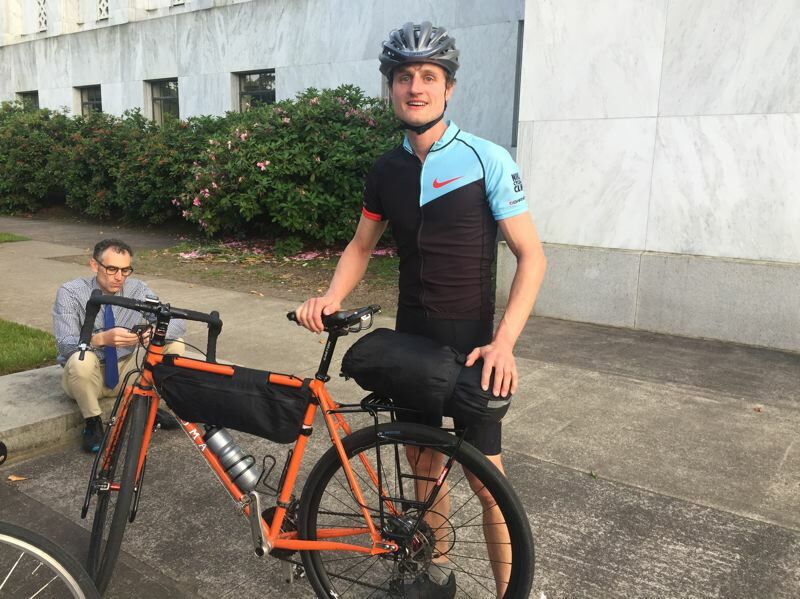 Ten cyclists from The Street Trust advocacy group rode their bicycles from Portland to Salem to show support for bike-friendly provisions in the bill. Chris DiStefano, public affairs manager for Portland's River City Bicycles, said bicycles help drive Oregon, and the proposed 3 percent tax on adult bicycles priced greater than $500 would have a negative impact on small businesses. The tax is akin to a "sales tax on small business," DiStefano said. Oregon voters have repeatedly voted down sales taxes, and the state's lack of a sales tax is a centerpiece of the state's tourism industry. The bill also would levy an excise tax on new and used vehicles sold at dealerships. "I do believe bicycles offer more potential for congestion easement and therefore should be fortified more than penalized. This isn't a use tax; this is a sales tax," DiStefano said. Several other speakers such as Teri Clark of Portland shared how crucial transit is to their ability to get to school and work. Clark asked lawmakers to provide programs that would help reduce the cost of taking transit, as more and more Oregonians struggle just to pay rent. • Add lanes on Interstate 5 near Portland's Rose Quarter from Interstate 84 to Interstate 405. • Add northbound and southbound lanes on Highway 217 through the Portland metro area. • Widen Interstate 205 to six lanes from Oregon City to Stafford Road. • Widen and seismically reinforce Interstate 205's Abernethy Bridge. The plan raises an average of about $800 million per year in additional transportation funding. • Gradual gas tax increase from 30 cents to 42 cents by 2025. • Tiered increase in title and registration fees, depending on type of vehicle. Surcharge of $100 for electric vehicles, and $15 for other vehicles. • Statewide payroll tax of 0.1 percent to pay for mass transit. • Tolls to be determined. • Bicycle excise tax of 3 percent. • Dealer privilege tax of 0.75 percent on new and used vehicle purchases. The 298-page bill is heavy reading, but legislative staff recently released an index to help interested parties trudge through it. The last of three hearings is set for 5 p.m. Wednesday, June 7, in Hearing Room F at the Capitol, 900 Court St. N.E.